Looking for a Museum of Science and Industry Hotel? The LaQuinta Inn & Suites Chicago Lake Shore hotel is near the Museum of Science and Industry. 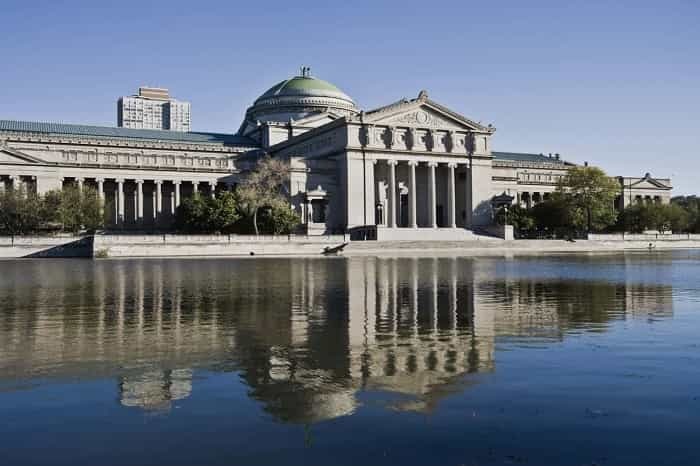 The Chicago Museum of Science and Industry is one of Chicago’s top attractions. The museum is located in Jackson Park between Lake Michigan and it’s an easy walk from the the La Quinta Inn and Suites Chicago Lake Shore. This hotel offers a free scheduled shuttle to the museum and free parking that will save you $50.00 a day. Many visitors quickly find that one afternoon simply isn’t enough at the Museum of Science and Industry. Staying at this hotel results in money saved so your family can do more in Chicago. Regardless of what brought you to the Windy City, be sure to pencil in a visit to the awe inspiring museum. 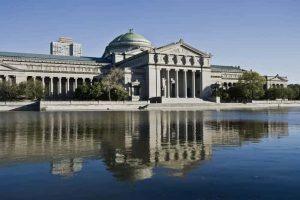 The Museum is housed in the Palace of Fine Arts building from the 1893 World’s Fair and opened as part of the 1933 World’s Fair. The building and its various exhibits have been leaving visitors in awe ever since. With over 2,000 exhibits the museum boasts something for everybody covering nearly every scientific discipline on the planet. Some of the more popular exhibits are the full-size replica coal mine and the Transportation Gallery which houses “The Great Train Story.” It includes a 3,500 square foot model railroad outlining the story of transportation from Chicago to Seattle. The Museum of Science and Industry also houses relics of American history including the U-505 German submarine captured during World War II. Another popular exhibit is the command module from Apollo 8 – the first manned spacecraft to leave low Earth orbit, orbit the moon, and return safely to our planet. The museum has exhibits that play to the fascination of your family. Be sure to check and see what special events or visiting exhibits will be around during your stay in Chicago. While our staff at the La Quinta Inn and Suites would recommend multiple days to soak up everything that the Museum of Science and Industry has to offer, one is better than nothing! Because our location is so centralized you will have the opportunity to visit more of Chicago’s attractions. Utilize our hotel’s free shuttle service or talk to our front desk staff about the easy-to-navigate public transit system that can get you to the Museum of Science and Industry in a matter of minutes.